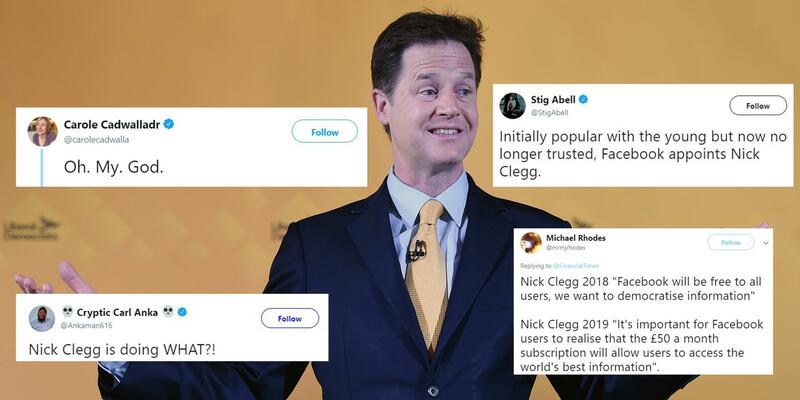 Cleggmania 2.0 – Facebook has hired the ex-deputy prime minister and former Lib Dem leader Nick Clegg as their head of global affairs and communications. Akin to the shift from Web 1.0 to 2.0, Clegg like the web has reinvented himself. Today he is embarking on a new journey to be the go-between for a mega corporation and fractious mega governments. It is a genuine challenge and a job that is difficult to define, however although problematic, Clegg has a genuine opportunity to bridge the divides between the corporation, the people and national and international governments. As such it is a step in the right direction for both, and naysayers are under-appreciative of the consideration Facebook have put into the move. However the proof will be in the pudding, with change sorely needed, I will be watching Clegg closely, before I declare a refreshed Cleggmania. Wire – 1 2 X U The seminal punk groups most visceral hit to the well-timed backing of Gaelic dance, enjoy!